View all current homes for sale in Pines, Greenacres, Florida. Click on a listing to the view property details, photos and maps. If you would like to change or expand your search criteria, go back to the Greenacres search page, or try using our Advanced Search. Gorgeously renovated Townhouse with Granite and Stainless in the kitchen, private courtyard, spacious floorplan, and conveniently located! Seller will provide 1 year warranty. LOCATION, LOCATION, LOCATION! Ready to move in beautiful 3/2.5 townhouse. Great condition, tile and carpet in Bedrooms. Newer kitchen cabinets and appliances.Located in a quiet neighborhood. It's a pet friendly community. MLS #RX-10508946 Listing courtesy of Partnership Realty Inc. 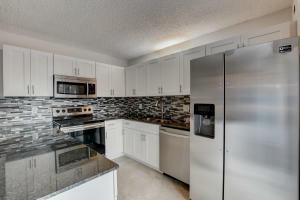 Fully renovated townhouse in sought after area. Owner to provide a one year home warranty plan. Please use Far Bar As Is Contract. HOA requires a 650 credit score min.